Welcome to the latest of CROF’s weekly updates! 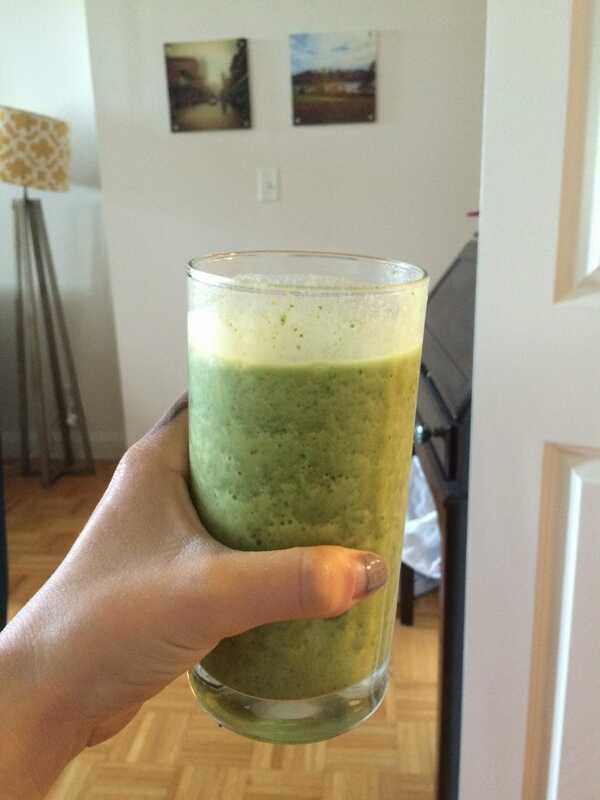 I am currently writing to you with my favorite shake in hand! Although I didn’t publish any articles I have spent all week feverishly typing not only three new articles for next week but a new client offering that I cannot wait to share with you so STAY tuned!!! Also, this week I was able to get into one of my favorite gyms in Boston, Achieve Fitness, and do *all* three days of my strength training. WIN! Even better, for the first time this summer I hit my roof deck for 20 minutes of SUN! Here is a photo of me after drinking 16 ounces of the HUGE shake pictured above (I’ve been on a shake kick this week). Barry’s Update! There has been a new class added to Barry’s Bootcamp which I will be teaching on Wednesdays at 5 a.m…. 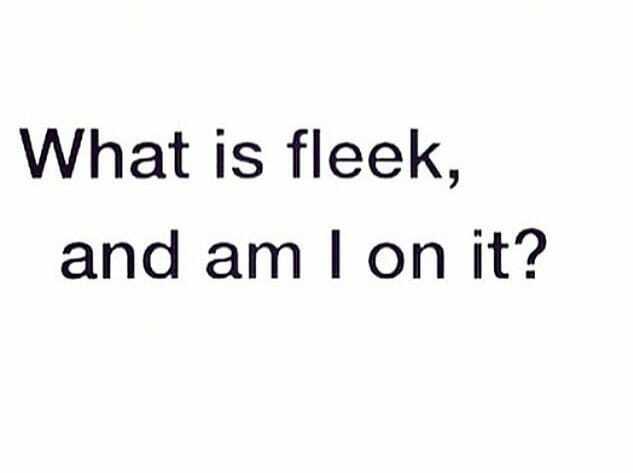 interested?! Sign up here! 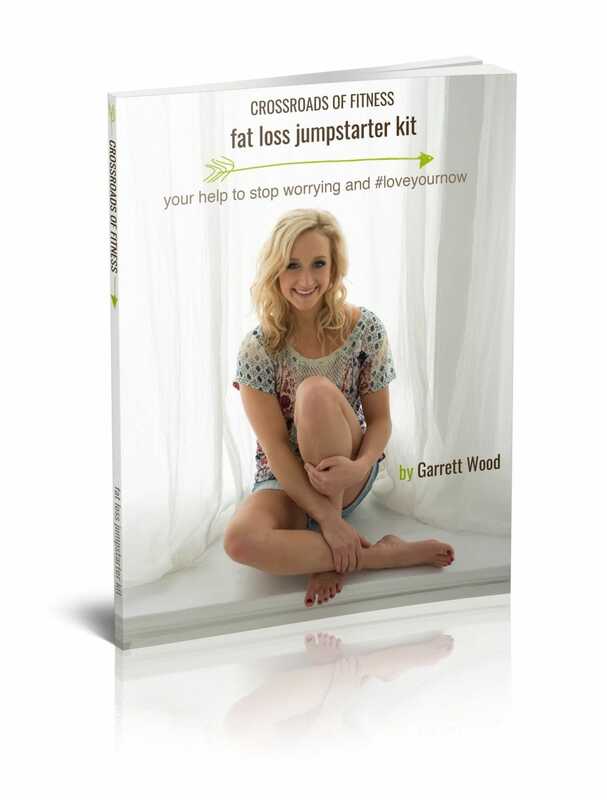 I have still been receiving feedback from my ebook as well–don’t forget to get your copy! If you haven’t gotten your copy, sign up for the #daretomove Motivator and directions on how to download the book for free will be delivered right away. 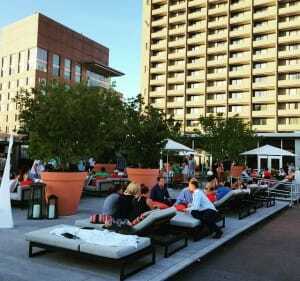 Last night I hit up an excellent spot: the Revere Rooftop! We didn’t get a seat but we stood in the corner balcony area overlooking Back Bay and each had one amazing drink. 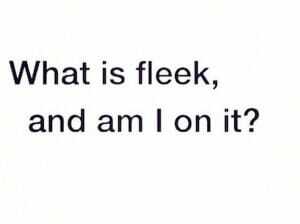 Mine was berry vodka with blueberry infused water. This week I am ever thankful that all of my clients are absolutely killing it! My client Katie’s abs decided to make a stunning appearance this week and needless to say we were BOTH stoked! Go, Katie! 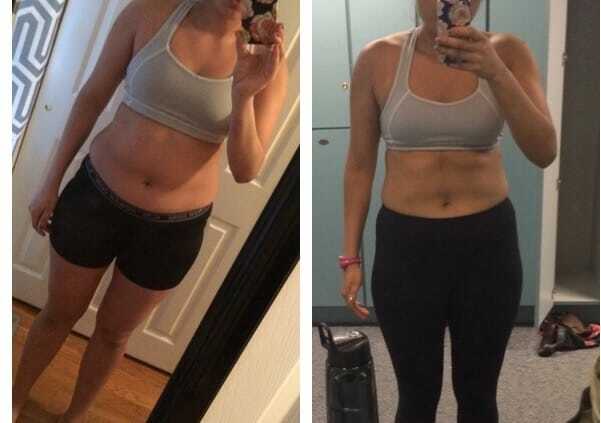 Another one of my clients is about nine weeks into her program and seeing some major results! And finally, my baby brother, Hunty, has completed a 10 week program and lost ten pounds. He is deadlifting 330 for 3 reps and looks so good next to his babe of a girlfriend, Britt! More on his story next week! I got into a class and totally had a blast! I met the trainer who trained the Barry’s Bootcamp Boston owners and instructors. He murdered our shoulders and pushed us to sprint at 12.5 speeds! Monday: NEW Strength Program cycle at Achieve Fitness!!! Woo! Although I couldn’t get into an actual class, I did (some of) the floor portion of my own programing in my building’s gym to #practicewhatIpreach. I had 15 minutes and that was all I needed! Wednesday: I trained Chest and back in my building’s gym and picked up 40 pound dumbbells for chest press for the first time ever!! I did my benching program and was excited to go back to sets of 8. Now hitting 80 pounds for all 5 sets of 8 reps! Light deadlifts for speed, kettlebell cleans and presses, and 5 sets of 8 back squats!!! This week I was very on top of my nutrition and I attribute a lot of that to trying new meal prep strategies! I wanted to brainstorm some new ideas for myself and clients. 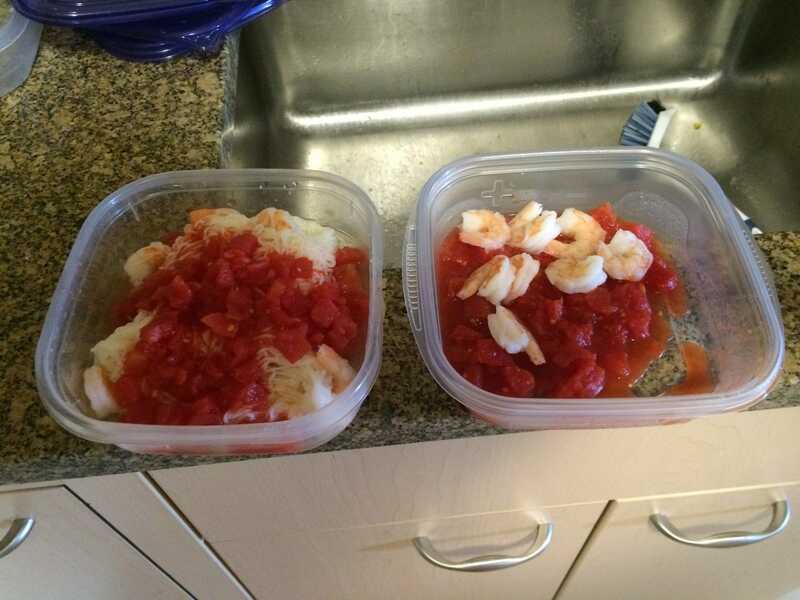 One thing I prepped as a whole food low calorie snack were these 3 ounce shrimp tomato sauce, broccoli and yam noodles mini-meals for 105 calories! 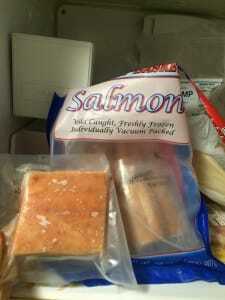 Another thing that has been helpful are these pre-packaged salmon filets Jordan bought for me. (Yes he grocery shops for me when I cannot go– we make a great team!) 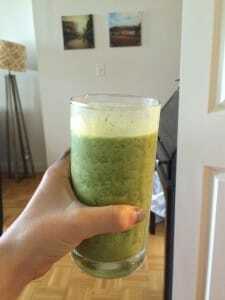 I ate them with a 100 gram (100 calories) sweet potato every day this week. One of my favorite diners is an incredible Shakshouka recipe! I incorporated this movement a lot in my Barry’s Bootcamp programming this week so I thought highlighting it here would be a great idea! If you are trying to incorporate lateral movements into your training add this one in! If you aren’t sure about lateral movements, read about the importance of doing so here, this is one way to do it! Another reason I love this exercise is not only does it help me work on my coordination, but it’s a good way to keep cardio interesting. In example, if you are power walking and want to get your heart rate up a little more and do a few intervals, try side shuffling for one minute each direction, or 30 strides (speed 2.5 to 5.0 on a treadmill). Then rest and repeat three times. Here’s a quick treadmill workout to try! Don’t be afraid to take it outdoors and omit the inclines! My Client Karen is an incredible women with a passion for helping others. She and I have been working together for about 10 weeks now and she is killing it. The one struggle we often find is trying to find a balance between her helping others and finding time to help herself. She has come up with some incredible strategies I asked her to write about in order to help any of you who might be going through something similar! Whether it’s a job that requires travel, new babies keeping you up late at night or community service that seems to get in the way of fat loss goals, read about some ways Karen combats the obstacles and stays on track! It’s important to note that she forgets to mention her dedication to weekly circuits I write for her. Despite her crazy community service last week, Karen was able to challenge herself TWICE to bodyweight circuits, play tennis and take a 17 mile bike ride! Go, Karen! Her side of the Story: This week I was volunteering for a program that our church sponsors called IHN. IHN stands for Interfaith Hospitality Network and is a program in partnership with congregations and community organizations to house children and their families who are homeless. Our church hosts families three weeks during the year. This week we had 3 families with 5 adults and 9 children. During the day, the families stay at the IHN center in downtown Indianapolis to use that as their home base as they meet with various agencies, apply for jobs, interview, etc. In the evening, our church provides dinner, activities, and a place to shower, wash clothes and sleep. I volunteered to be an overnight host. My duties included making sure everyone gets an evening snack and anything else they need to feel comfortable before bed. In the morning, I provided breakfast and a sack lunch if needed for the day. The reason I am telling you about this experience is that it obviously interrupted MY normal schedule; which included where I was sleeping, how much sleep I was getting, and when and what I would be eating during the week. 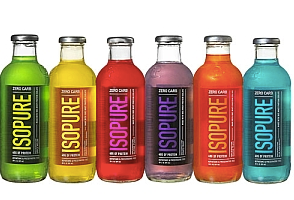 2)Isopure Drink – This is a readymade to go Gatorade tasting protein drink with 40 grams protein and 170 calories in one bottle. 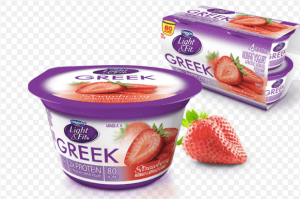 3) Dannon Light and Fit Greek Yogurt – Lots of flavors to choose from and very rich and creamy. 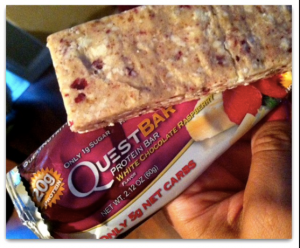 12 grams protein and only 80 calories. Sometimes I may include ¼ cup raw almonds if I need something really crunchy to go with it. Anyway, I ended up being down another pound this week eventhough I was outside of my normal routine and not sleeping at home or on a schedule. This program can be done but it takes planning and commitment to making it work. I am no expert (only 10 weeks into the program) but I can see by tracking and hitting the calorie and protein targets that weight loss is possible!